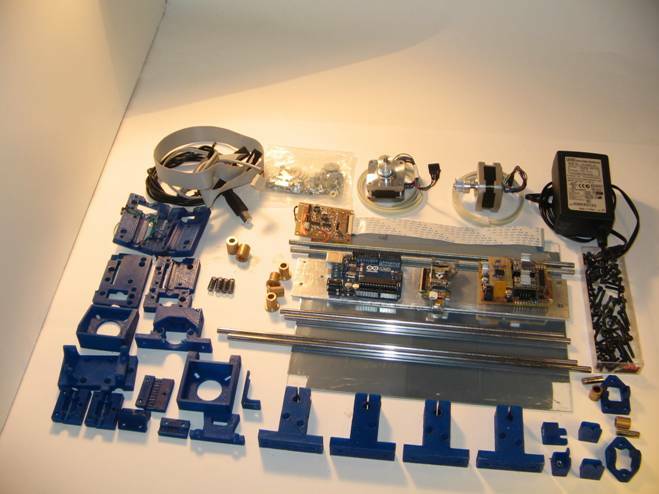 The materials used to build the printer are very easy to find in any hardware store, DIY store, electronics store or over the Internet. The plastic parts are printed with a 3D printer. The printer base and the top printing bed are manufactured in plywood. For the cart we used an aluminum plate 2mm thick. We used a RepRap Prusa I2 3D printer with a hot-end J-head with a 0.35mm nozzle and 1.75mm PLA filament. Most of the pieces have a fill of a 40/60% except the smaller that support greater load/effort and are solid. We recommend to use speeds of 65-80 mm/sec, although this depends on the printer model. We used Cure 13.06.4 to perform the slicing. 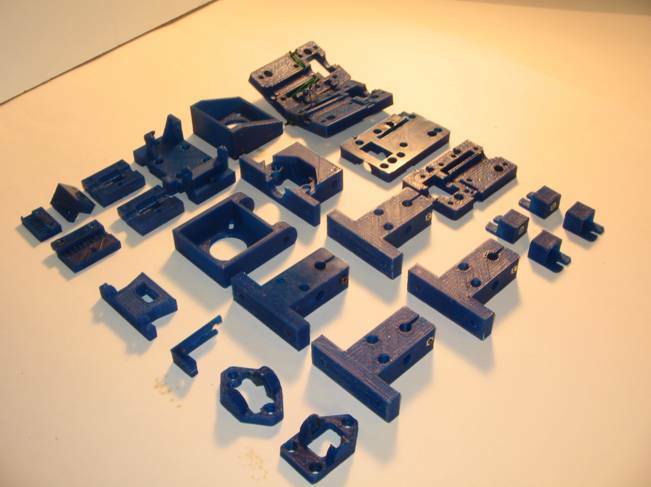 Below are the printed parts. Can be downloaded from here. To download files of the parts, please go to the download page.